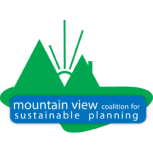 The Coalition addresses how Mountain View is evolving and becoming even more sustainable than it is today! This page describes just some of the projects and plans the Coalition is currently exploring or working on. More information about development projects in Mountain View is available on Planning Division Update from the City Web Site. If you would like to participate or learn more, please email us at mvcsp.info@gmail.com. Also see information about our meetings on the Get Involved page.